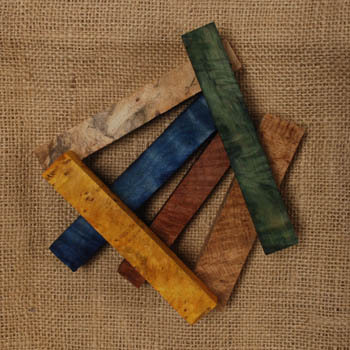 Choose from our full line of HUT ProWood™ stabilized Pen blanks to turn eye-catching Pens. Our stabilization process allows the use of potentially beautiful woods that are otherwise unusable. 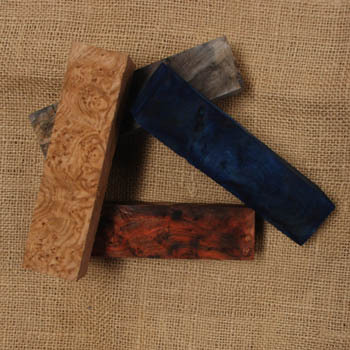 Soft or brittle materials such as spalted woods and burls can be hardened by a special blend on monomers and acrylics under intense pressure and heat. HUT ProWood™ drills easily, turn with conventional lathe tools, and polishes to a high gloss with either HUT Crystal Coat™, HUT Ultra Gloss™, HUT™, or HUT PPP™ finishes. Items with the same price code (AB, etc.) may be combined for a quantity discount.